Some see a messy stack of old newspapers or magazines as waste, not us! We see an opportunity for an up-cycle project, loads of them. Why not join Susan to create some unique up-cycled papercraft such as decoupage? Choose an item from the yard, or bring one from home and transform it with some paper and glue! 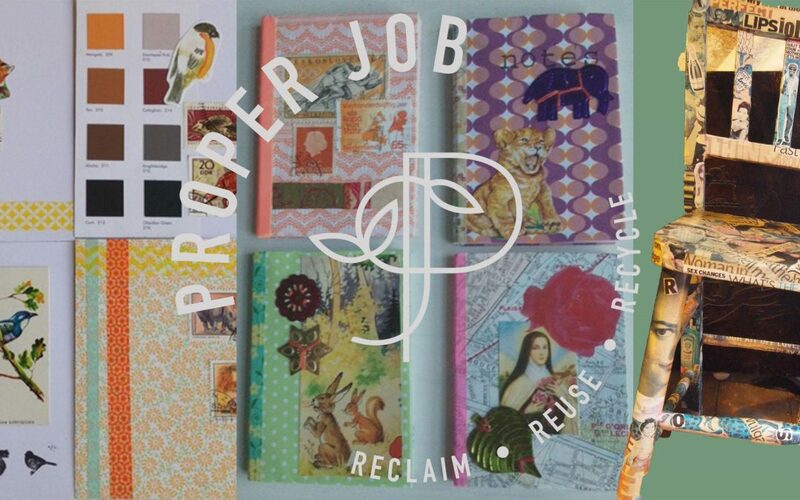 Make a notebook or decoration and gain inspiration for your next paper-based up-cycle project. You will never be able to look at a newspaper, second hand book or magazine with the same eyes again, you will see opportunities to turn it into something else all together! The workshop is suitable for all ages, children under the age of 12 must be accompanied by an adult. This is a free workshop however if you wish to leave a donation to support the project there will be a pot on the day.